How are perceptions of the UK created and how are they changing? How can the brand architecture of Great Britain, our nations, our cities, our regions, and places work best for all stakeholders? Collaboration or competition: when and how should cities and places across the UK work together to attract international attention? Taking into account the unique trade, investment and export role of cities, is there a case for competition? How do you go about analysing your assets and creating a strategic vision for your place? And once you have your vision, what tools and skills do you need to implement it? How can collaboration help to identify data sharing opportunities and grow the tourism sector to deliver maximum benefit? The importance of leadership and governance. Creating that right eco-system to foster innovation. Putting culture at the heart of place. How do you ensure a year-long programme delivers longer-term benefits? What lessons are there for other places in terms of levering your cultural assets? 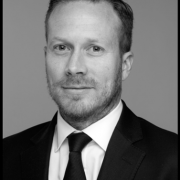 David is an economic development, soft power andinternational relations specialist with experience in strategy development andimplementation for global cities including London, Moscow, Beijing, Shanghai,Nanjing, Chengdu and Mumbai. Regular clients include cultural organisations andgovernments such as the Greater London Authority, Corporation of London,Salford Council, Manchester Council, Climate-KIC, OECD, British Council,Transport for London, and Crossrail. He has particular expertise in softpower, tourism and brand positioning. He lectures at the University ofSouthern California on the topic of The Rhetoric of London, is anassociate with the British Foreign Policy Group, and associate with BOPconsultancy where his focus is on the development of the World Cities CulturalForum. He is co-author of a British Council Report on the Soft Power of Cities,BPFG report 'Manchester: Soft Power Entrepreneur' and WCCF report on soft powerin Chinese cities. 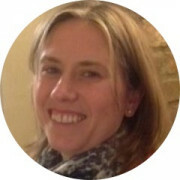 Fiona has lived and worked in five continents in a variety of marketing roles with global media brands. These include News Corporation, where she was VP Marketing for STAR TV in Asia, and BBC Worldwide where she was VP and General Manager, Joint Ventures. 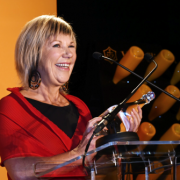 In this role she successfully led and managed global media partnerships with major networks Discovery Communications Inc and Scripps Network, working with inhouse teams and agencies to develop and promote co-branded content and channels. She joined London & Partners, the Mayor of London’s official promotional agency, three years ago. She now leads its Campaigns team to promote London as a leading destination for leisure and business visitors, international students and talent, and entrepreneurs and investors. With over 20 years of practical experience in industry (attractions, academic research, private sector tourism consultancy and senior roles for destination organisations) Lucy joined Visit Wales as Head of Marketing in November 2018 after running her own company. 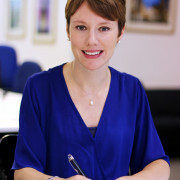 Having delivered projects embracing all aspects of integrated marketing; regularly presenting at events and delivering digital master classes, Lucy’s remit at Visit Wales includes B2B as well as B2C activity, delivered in partnership with product development and comprehensive industry engagement foundation work. 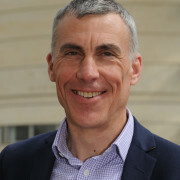 As founding Director of thinkingplace John has directed the creation of over 60 place narratives and stakeholder led marketing approaches over the last 12 years including for all 3 UK Cities of Culture including the most recent addition of Coventry and for places as diverse as Nottingham, Cornwall, Carlisle, Doncaster, Medway, Harlow, Knowsley, Medway, Rochdale and Lancashire. John has a vast experience of marketing and branding gained at organisations including Kingfisher plc, Next and Hull Cityimage. 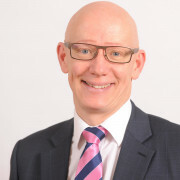 Brendan Moffett is Director for the Centre for Contemporary Hospitality and Tourism at the University of Derby and a board member of Marketing Peak District and Derbyshire. 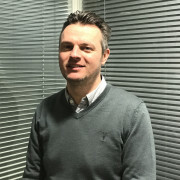 Brendan was formerly Chief Executive of Marketing NG, a ‘place marketing organisation’ which attracted record levels of investment, visitors and talent to Nottingham. In this role, Brendan also worked at a regional level as part of the ‘Midlands Engine’ – the region promotes the Midlands UK as part of the GREAT brand in international trade and investment markets. Brendan was previously Director of Strategic Marketing at Creative Sheffield, the UK’s first city development company. Brendan led on brand identity, marketing strategy and business engagement and was a pivotal player in the economic resurgence of the Sheffield City Region. Brendan has a strong track record in branding and communications starting out at Ogilvy, he was also part of the team at Jaywing Plc who developed the Hull UK City of Culture 2017 brand and content strategy. Brendan is a Fellow of the Institute of Place Management at Manchester Metropolitan University. With a remit to establish a team and infrastructure of cross-agency talent, Cat heads up Brand Scotland and leads the #ScotlandIsNow campaign, looking to deliver a strong nation brand that positions Scotland for sustainable growth, resilience and future prosperity. With talent from across VisitScotland, Scottish Government and Scottish Enterprise, Brand Scotland aims to activate partnerships across the public and private sectors to drive reputational value and awareness of our progressive nation. Formerly, Cat ran the strategy and marketing teams for a multi award-winning digital agency, After Digital, for seven years and outside of her day job she is one of five who lead on TEDxGlasgow, one of the world's most established TEDx organisations. Martin has been Chief Executive of Coventry City Council since April 2009. He was the Chief Executive and the Head of Paid Service of the West Midlands Combined Authority from March 2016 to September 2017. He had previously been with Bedfordshire County Council for three and a half years as Assistant Chief Executive and Chief Executive. 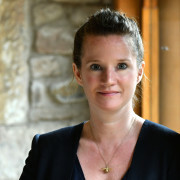 Clare Mullin is Global Marketing Director for Visit Britain, she joined in 2017 and has previously held senior marketing positions at the National Trust and Dyson. 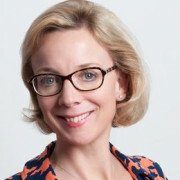 She is responsible for the global marketing and brand strategy for Visit Britain which is responsible for inbound and domestic tourism volume and value. She works closely with overseas markets to market Britain to potential tourists. As Brand and Marketing Director for the National Trust, she led the marketing and commercial functions, working on brand, communications, technology and organisational development. As well as developing their new marketing strategy she lead the redevelopment of their digital platform and implemented a new approach to digital to improve customer engagement. As Group Marketing Director at Dyson, she defined their marketing strategy and drove its implementation to build the global Dyson brand in 20+ markets. Now in his 30th year within the branding sector, Glenn has been MD of McCadden since 2006, leading projects for a wide range of private, public and non-profit clients. Growing over the past 36 years from a pure graphic design studio into an integrated brand strategy & design consultancy, McCadden leads the sector in Northern Ireland, with a uniquely rich experience of place branding, from the Giant’s Causeway and Mourne Mountains to Armagh, Enniskillen and Belfast. Rachel was appointed to the role of Chief Executive in April 2018, having previously held the roles of Director of Tourism at Marketing Cheshire and Director of Marketing and Deputy CEO at Marketing Manchester. During her career at Marketing Manchester she led a team of 26 responsible for the promotion of Manchester as a leading business, leisure and learning destination; focused on attracting visitors and investors, growing a highly skilled workforce and driving sustainable economic growth. The team’s transformational ‘I love MCR’ campaign, projects with Manchester Airports Group, Manchester United and Manchester City, as well as stakeholder initiatives across the city, greatly increased profile and helped boost investment and trade links as well as increase international visitors. Following delegations to China, meetings with potential investors, key airlines and presentations in partnership with Visit Britain, the team successfully secured direct flights from Manchester to Beijing in 2015. As Director of Marketing at Hemisphere DMC, Rachel worked with a range of clients from transport, health, property, culture and local government with her specific projects including: the development of an investment prospectus and brand narrative for the Manchester at MIPIM partnership; a brand architecture framework review for Bruntwood and the creation of the brand identity for Manchester’s European City of Science designation. Born in Northern Ireland Rachel grew up in London and moved to Manchester for university. She has made her home in the North West, where she lives with her Bolton-born husband and young daughter. Tony is the founder and Group Chief Executive of Lancashire-based Panaz Limited, where he has spearheaded the design and technical advancement of flame retardant fabrics for the worldwide hospitality, leisure, cruise ship and healthcare sectors. Formed in 1986, the company today exports to 46 countries, operating worldwide through subsidiary companies in Europe and the USA and a global network of agents. Under Tony Attard’s direction, Panaz has been presented with two Queen’s Awards, marking the company’s success in both Export Achievement and Enterprise. 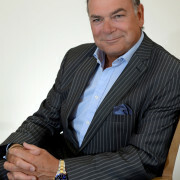 However, Tony’s activities and interests extend far beyond the Burnley boardroom: he is currently National President of the Worshipful Company of Furniture makers Charity, and a member of the Guilds Court, he is a member of the Manchester University Department of Material Science Industrial Advisory Group, and Manchester Met University Department of Enterprise Advisory Group. He is also a Fellow of the Royal Society of Arts, Fellow of the Institute of Directors, an Associate of the Institute of Textiles and a Member of the Institute of Management, and has received an Outstanding Alumnus award from Manchester University, where he began his career by winning a Courtaulds Scholarship to read for a BSc in Design Management. Other accolades have come from the Design Council and the DTI in recognition of his contribution to the contract furnishing industry worldwide. A Freeman of the City of London, Tony Attard sits on the Board of Creative Lancashire, NWTexnet, the British Contract Furnishings Association and the General Assembly of Manchester University. Tony is a past IoD Lancashire Director of the Year and former Chair for IoD North West region. Tony was made an OBE by Her Majesty the Queen in the 2010 New Year’s honours. Tony was appointed to the role of Chair of the Board of Marketing Lancashire at the end of November 2015. Emily Fitzgibbons joined the Department for International Trade in 2015 as marketing manager for the Automotive and Advanced Manufacturing sectors. In 2016 Emily became one of the founding members of Invest in GREAT Britain & Northern Ireland which has evolved to become the UK government’s flagship international marketing campaign for attracting foreign direct investment. 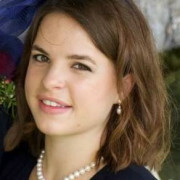 Emily has a BA degree Economics, and minor in Politics and Government from Ohio Wesleyan University. Prior to joining DIT, she worked in the US at a marketing agency working with major brands including Harley Davidson, Michelin and Subaru. A Geography graduate from University College London, Sharon started her career in the Civil Service whilst studying Public Service Leadership at Birmingham University. Her diverse Central Government career, spanning twenty one years, saw her working in; leadership, communication, project management, and management consultancy roles. Always a proud supporter of her home town of Harlow in Essex, Sharon moved on to work for Business in the Community, a Prince of Wales charity, as Business Connector for Harlow, connecting the private, public and voluntary sector in mutually beneficial relationships. Now working with Harlow District Council, Sharon has launched Discover Harlow, a successful new place brand initiative which engages communities to build a strong Harlow Ambassador network which takes responsibility for owning and selling the Harlow story. Discover Harlow was proud to be shortlisted for the 2018 CNP Place Brand of the Year Award. Charlie has almost 30 years public, private and community sector experience of planning and regeneration across the North West of England, North Wales and the South East. He joined Cheshire West and Chester Council as a member of its senior management team on its launch in April 2009. Over the past eight tears the Council has developed a reputation as a fresh, dynamic and innovative unitary authority at the fore-front of public sector reform. Charlie’s current priorities include driving forward an ambitious programme for economic growth, social and environmental improvement and service transformation across a diverse mixture of urban and rural areas. He works strategically to develop relationships and take forward programmes nationally and regionally as well as locally to ensure that neighbourhoods, communities and individual citizens can benefit from greater prosperity. Having graduated in Government from the London School of Economics he went to secure a professional post graduate qualification from Manchester University. 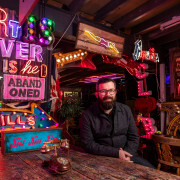 Graham is an independent arts and cultural advisor and is based in Manchester. Currently working with Cheshire West and Chester Council on a number of cultural projects. Has worked in the performing arts industry for over three decades and brings a wealth of experience and skill informed by his work across the sector. Much of his career has been focused on working with a diverse range of artists and organizations. In the last decade he has been Capital Director for a number of new theatre buildings: Curve in Leicester, CAST Doncaster and more recently Storyhouse in Chester. All significant and distinctive projects that challenge ideas about how artists and communities might engage with cultural organizations. 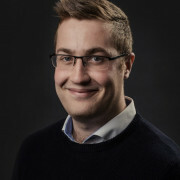 Jim Dawson is the Head of Creative Digital and Marketing at Go To Places, the company delivering destination management in the shape of Visit Kent and Visit Herts. He has been involved in digital marketing for over 20 years, and in that time he has worked with organisations including the Natural History Museum, Which?, The Law Society, Nottingham Trent University and Rentokill Initial to name just a few. Jim joined Go To Places in 2016 and is now in charge of pushing through ambitious changes to the content strategy and digital campaign delivery. David is a property developer who has championed the synergy of creating great places while maximizing value. From 2008 to 2017 David worked on the largest planning application ever secured in London at the iconic Battersea Power Station. Working as both the Chief Development Officer and Head of Design and Placemaking, David was instrumental in developing the placemaking strategy, the master plan, mix and architecture opening strategy activation and curation at the Power Station– running all aspects of design and placemaking. Previously David helped establish the largest western-owned development company in China and continues to work on his own developments in Ireland. He is the author of Living in Wonderland –Urban Design and Placemaking. In 2017, David became one of the founding partners at Wordsearch Place to spread the benefit of his experience on significant projects around the world. William has worked at Wordsearch for 20 years and during that time has worked on some of the world’s most prestigious buildings and developments. Before that he trained as a Project Manager for Construction at the Bartlett School of Architecture. He was responsible for all marketing and communications for the Shard in London, for the development of the communications strategy and brand for One World Trade Center in New York, and has been the main director in charge of the development of the branding and placemaking strategy, and communications materials for Battersea Power Station since 2008. He was instrumental in setting up the Wordsearch offices in Beijing, Abu Dhabi,Sydney, New York and San Francisco – and has worked on Barangaroo in Sydney,Hudson Yards and Central Park Tower in New York, The 78 in Chicago and Shipyard Communities and The Concord Naval Weapons Station in San Francisco. Jude Kelly is a creative director and a foremost commentator on gender, inclusion and the arts. She was Artistic Director of the Southbank Centre from 2006-2018, where she created Festivals including: Being A Man, Unlimited, The Rest is Noise, Changing Britain, the Festival of Death, (B)old, as well as WOW- Women of the World. WOW is a global festival movement and has held 65 festivals in 5 continents over 30 locations in over 15 countries from Baltimore to Brazil, Cardiff to Karachi, and further across the UK, Australia and the USA, reaching over 2 million girls and women,and men and boys too. 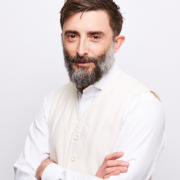 Jude has directed over 100 productions including at the Royal Shakespeare Company, English National Opera, National Theatre, and the Châtalet in Paris. She has advised governments,business, media and educational institutions and is one of the world's foremost commentators on gender and inclusion in the arts. She led the cultural team for the successful London 2012 Olympic and Paralympic bid. In 2015 she was made a CBE for services to the Arts. She was a judge for the Stirling Prize for Architecture 2018. David Andrews is Director of the Great West Way, a Discover England Funded project to create one of the world’s premier touring routes between London & Bristol. This project has been led by VisitWiltshire where David is also Chief Executive. Previous tourism management and marketing roles include working at The Mersey Partnership and the Abu Dhabi Tourism Authority. Before that David worked in VisitBritain / VisitEngland roles based in London, Singapore, Chicago and Amsterdam. 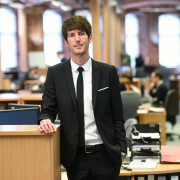 Steven was appointed Partnership Director at the Oxford Road Corridor, Manchester’s Innovation District in 2018. This unique partnership comprises the University of Manchester, Manchester Metropolitan University, Manchester City Council, Manchester University NHS Foundation Trust, Bruntwood, and cultural partners. Prior to this he was Director of Growth Lancashire, the County’s economic development and business support company, which under his leadership helped to create over 4,000 jobs in Lancashire and attracted over £50m private investment. 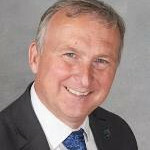 Previously Steven was Director of Regenerate Pennine Lancashire leading the development and delivery of a wide range of economic, skills and regeneration strategies for the Pennine Lancashire local authorities. He started his career on a graduate programme, spent 5 years working in industry and holds an MA in Local and Regional Regeneration. 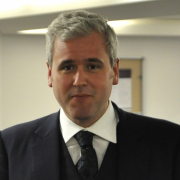 Steven has sat on Government commissions and expert panels relating to economic growth and regeneration. Susan leads Glasgow Life’s delivery of the city’s Tourism and Visitor Plan to 2023 and is responsible for promoting the work that Glasgow Life does, including strategic partnerships, destination marketing, fundraising, communications and major events. This includes promoting Glasgow internationally as an exciting destination to live, work, study and do business as well as a vibrant tourist and visitor destination while ensuring that the people of Glasgow are engaged with all of the benefits that Glasgow Life offers. Susan works with city partners to ensure that they maximise the benefits of everything that is on offer across Glasgow’s cultural, creative and sport offers. Glasgow is also a leading centre for business tourism and Susan leads the city’s conventions team, which secured 500 conferences in the 2016/17 financial year. Susan is a member of the Scottish Tourism Leadership Group and is participating in the refresh of Scotland’s Tourism Strategy. Susan helped to establish Glasgow Life as an independent charity and has led organisational change through policy and performance, with Glasgow Life now recognised as one of the UK’s best performing organisations with regard to Customer Service Excellence. She is the strategic lead for all of Glasgow Life’s marketing and communications activity, charged with increasing access and understanding of the company’s activities for both customers and stakeholders. Glasgow Life had more than 18 million attendances across its network of 171 venues and sites across the city in 2016/17. These include a network of community, cultural and sports facilities, local libraries and outdoor play sites as well as some of the most prestigious buildings in the UK. With a strong digital presence of more than 70 social media sites and a number of ‘hero’ websites, Glasgow Life is looking to increase customer interaction across all of its service brands. Susan is also the strategic lead for all external relations activity, including fundraising, public relations and communications with the media at local, national and international levels. Glasgow’s public libraries are a much-valued community and Susan led on the creation of a new vision for Glasgow Libraries, which will protect and enhance the service in the years ahead. 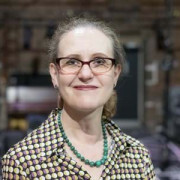 Susan’s background is in the performing arts, and she contributed to the 1990 City of Culture programmes producing street performance and outdoor interventions from 1988 to 1991. She was the senior producer at Tramway for five years, before moving into senior management roles. Kathryn Davis has spent almost all of her professional life working in tourism, hospitality and leisure, the last 18 years of which have been with Destination Bristol. This has taken her from a Marketing Executive developing early versions of VisitBristol and digital communication to Head of Tourism, working on regional, national and international programmes across all areas of the visitor economy including overseeing both the visitor marketing and convention bureau delivery, along with the development of local industry engagement, research, product and partnership development. Kathryn is a member of the Tourism Management Institute and a regular speaker at industry events. In 2018, she was awarded the Outstanding Contribution to Tourism at the Bristol, Bath and Somerset Tourism awards. Catherine Mitton joined the Institute of Place Management (IPM) and The BID Foundation in June 2018, following seven years as a BID practitioner in Winchester. Catherine has 15 years’ experience leading teams in the place management industry, with expertise in creating strong partnerships between the public and private sectors, having delivered intricate projects for local government. 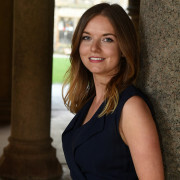 Last year Catherine graduated from a top 20 Russell Group university with a MBA, which included completing a research piece on effective corporate governance practices within English BIDs. Elizabeth Faulkner is the BID Manager for Altrincham, England’s winner of the Great British High Street Award. In her previous role, Elizabeth was Assistant CEO of Manchester Central, Manchester’s International Convention Centre and prior to that Elizabeth gained extensive place marketing and project management experience as Business Development Director at Visit Manchester. In his daytime job Peter is managing director of Eindhoven Marketing, the organisation responsible for the place branding and marketing of Eindhoven region, named Eindhoven365. He also has a big passion for Estonia and decided as an early e-Resident to create value to support the country in marketing and promoting their ambitions to a greater and relevant global audience. He became overnight a superstar in Estonia thanks to his ESTonishing pro bono and open-source marketing concept which received strong public support and became formally accepted by the authorities. Phil was Director of Public Engagement for the £32m UK City of Culture project in Hull. In this role he was responsible for capitalising on the city’s year in the spotlight by devising a place-based campaign to transform perceptions through culture and the arts. Working across a 365-day artistic programme of more than 2800 cultural activities, Phil played a pivotal role in ensuring 9 out of 10 residents of Hull took part in the year’s programme; whilst attracting millions of visitors from across the UK to experience the City of Culture celebrations. Prior to this Phil spent a decade working in a marketing and research consultancy on behalf of leading national charities including the British Red Cross, Keep Britain Tidy, Young Minds and the British Heart Foundation. Currently Phil is working with towns and cities throughout the UK and Ireland on cultural regeneration projects and has most recently overseen the marketing to launch Waltham Forest as the first-ever London Borough of Culture. Sam Hunt has been working throughout the UK, across arts and culture for 15 years. 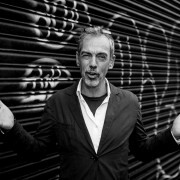 In that time he has worked in multiple art forms, produced festivals, set up venues, worked as a creative producer and been instrumental in the creation and delivery of nationally significant cultural programmes, recently as Executive Producer of Hull 2017 UK City of Culture and currently Creative Director of London’s first ‘Borough of Culture’ Waltham Forest 2019.